Will Witt, a conservative social media personality with PragerU, will be speaking to the Turning Point USA Chapter at UCF on Thursday. According to Eventbrite, the event is open to the public and scheduled for Thursday, April 11, 2019, 7 p.m. to 8:30 p.m in Health and Public Affairs Building 1 – Room 116. 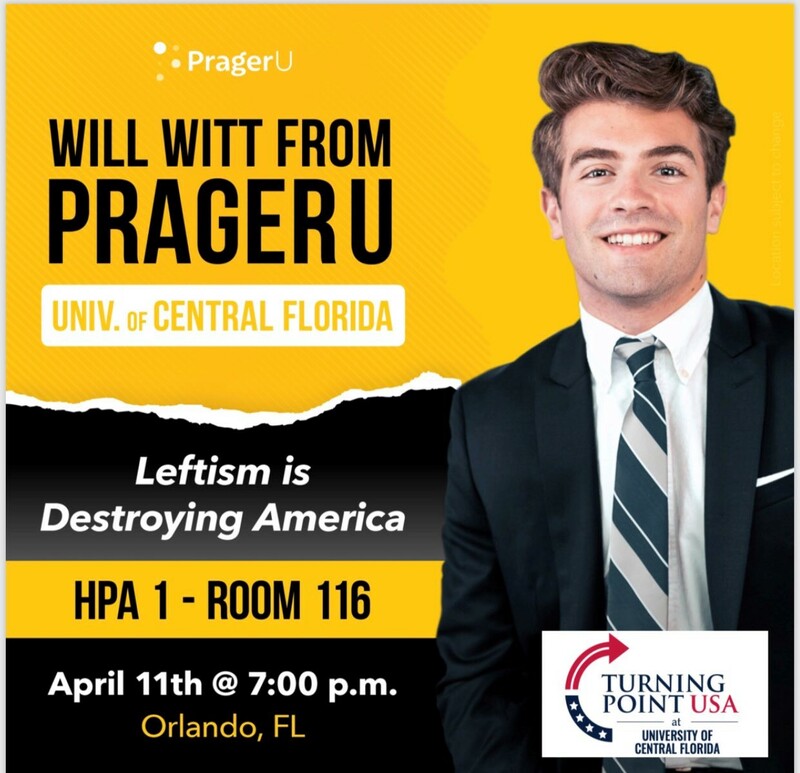 Witt has titled his speech “Leftism is Destroying America,” and attendees will have the opportunity to engage in a Q&A session following the conclusion of his speech. Prior to his time with PragerU, the Colorado native attended the University of Colorado Boulder for two years before deciding to drop out; a decision motivated by “the relentless indoctrination the universities in America constantly push,” his bio states. “If we don’t fight back against the left, America will fall,” he told Knight News. Tickets to the event can be obtained on Eventbrite.